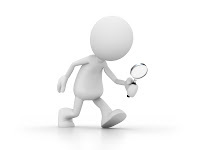 Been looking for me? I know many have, my email box tells me so. Here I am. Today is the first time I have had time to sit in this chair and post. I came home from SAGA convention to a whirlwind. Our chapter hosted Susan O'Connor for a workshop the weekend following convention and then I hosted the class attendees for dinner Saturday night. 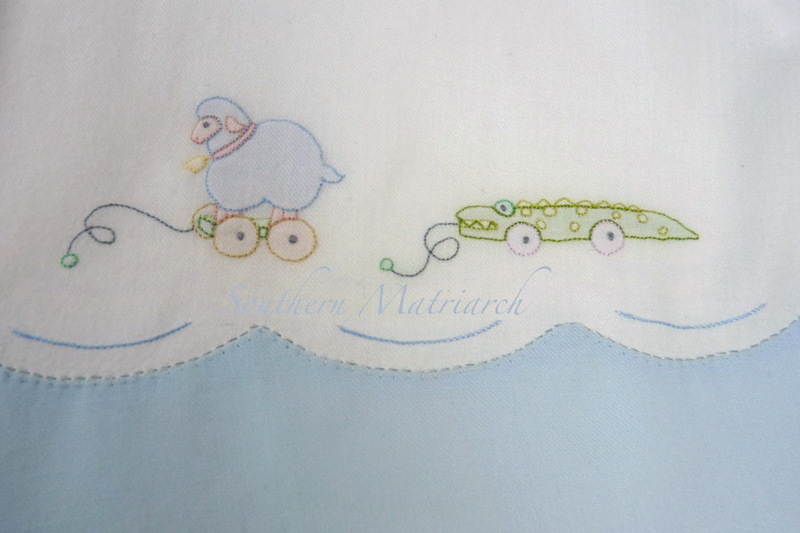 Since then I have been feverishly trying to catch up as well as finish baby brother's coming home gown. Success, for the gown not the catching up part! I promise I will revisit and post pictures from convention as well as Susan O's visit to our chapter. 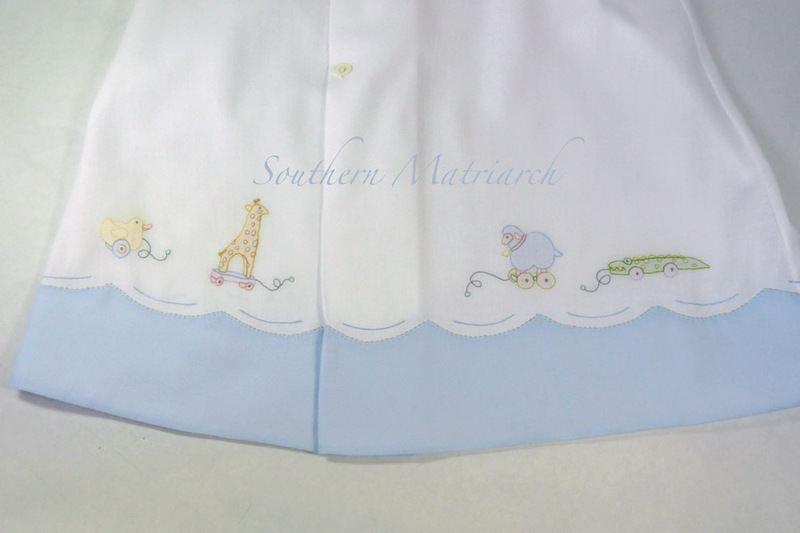 But first of all, Baby Hank's Coming Home gown. The gown marries two different designs. 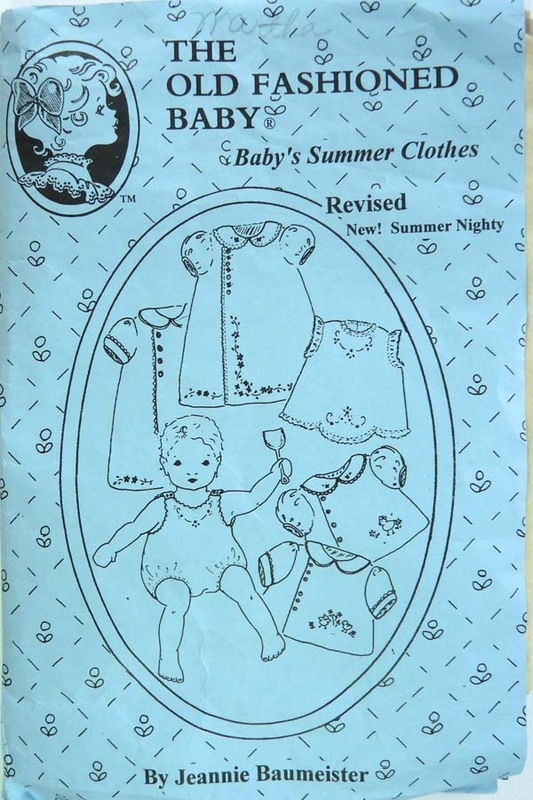 The gown itself is the Summer Nighty pattern from Baby's Summer Clothes, from The Old Fashioned Baby. I have used this pattern many times before. It is a favorite of mine. 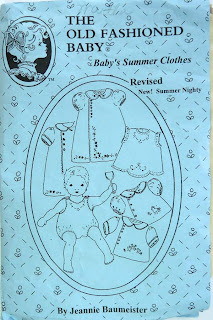 I lengthened the sleeve and pleated it according to the pattern directions in the Embroidered Raglan Daygowns pattern, also by the Old Fashioned Baby. I stitched a tiny buttonhole in the sleeve band to thread the ribbon through. I was forbidden to use any lace or tatting, but I wanted to be able to draw the sleeves up to fit, so this was my solution. I also pleated the sleeve header instead of gathering. A more tailored look for a little man. The embroidery and madeira hem comes from Wendy Schoen's Madeira Baby Layette. It was an Embroidery Club selection. She no longer offers the EC but you can purchase the pattern and kit. This is what Mommy chose and we tweaked the final project. She chose which animal toys she wanted most. So these are the four we went with. They are all stitched in shadowwork. The scallops above the hem, are done in stem stitch. I dallied with the idea of choosing a fifth for the center, which isn't really the center for this gown. Something about it didn't look right so I rinsed it back off. 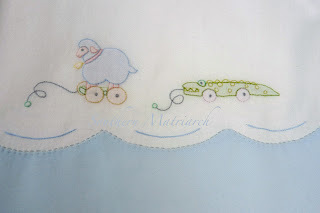 The fabric I used is Swiss flannel. Absolutely yummy. We don't have feelavision anymore than we have smellavision, I wish we did, so you could feel the yummy softness of this fabric. The hem is also Swiss flannel. 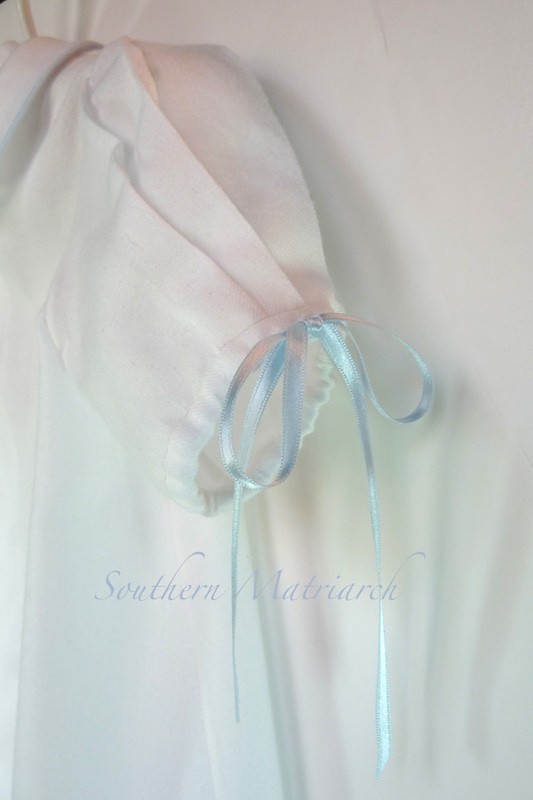 The fabric in the kit is Swiss batiste for both the gown and the hem. Mommy wanted flannel for this November baby. My initial plan was to use the flannel for the gown and the batiste provided for the hem. Well because I didn't think through the fact that I changed patterns, I cut the strips for the hem straight without realizing, with an A-line gown you need to shape the bottom to mimic the shape of the gown hem. My strips weren't going to fit. All is okay, I love the flannel at the hem and it works. 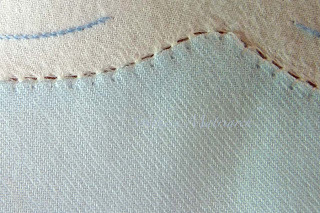 I used the method of water soluble thread to get my pin stitching at the hem even. 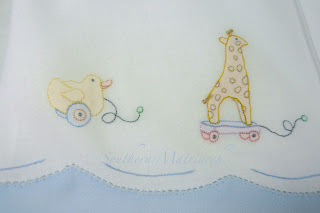 Stitching first by machine with the water soluble thread then coming back and stitching by hand with fine weight sewing thread. Gives a hand look that is very even and easy to achieve. 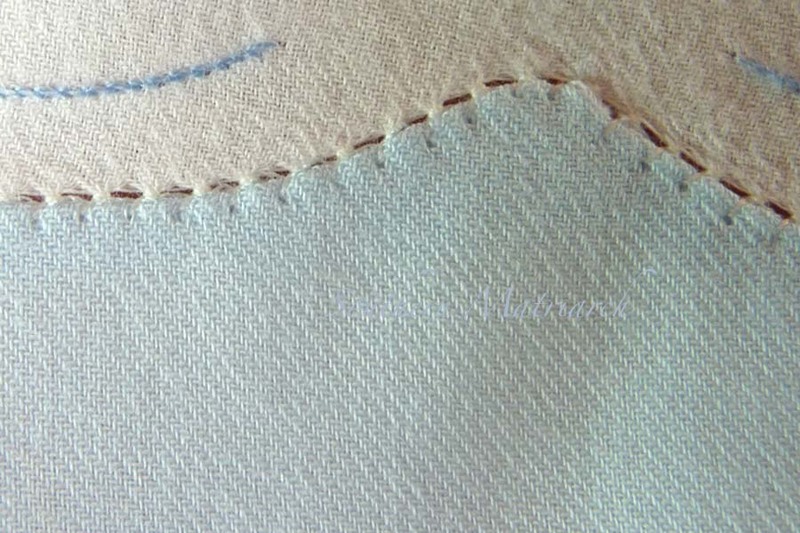 Be careful when you stitch something like this. If you want your stitches TIGHT like mine, stitch under stressful conditions such as Game 6 of the World Series. I am amazed I didn't snap my thread more often than I did! I have been trying to talk Mommy into the matching bonnet hat but so far it is a no go. His little head is going to be cold. That aside he will be a very welcome and precious star in his sweet gown. 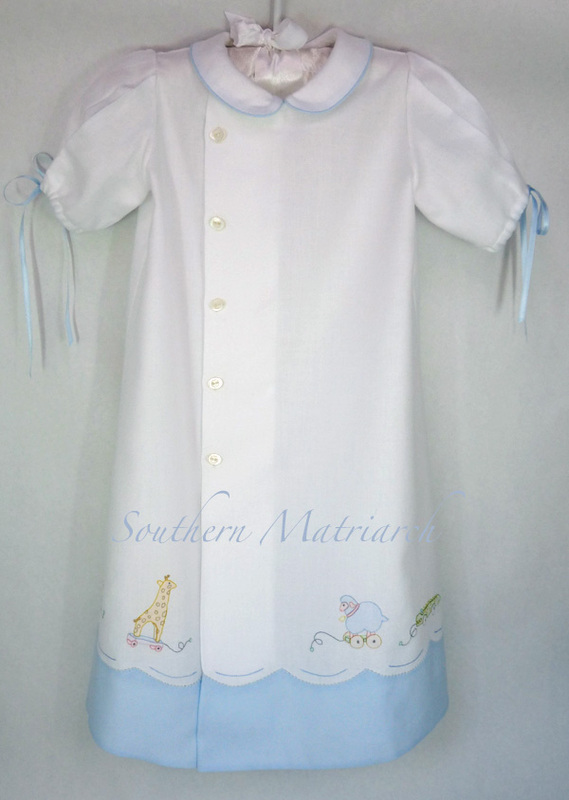 Whew, he can come on anytime now, gown is finished. 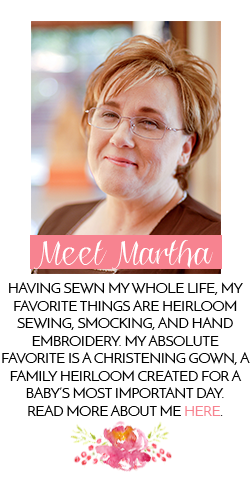 Love, love, love it, Martha! So perfect for a baby boy. I have that EC kit. Someday I'll have an excuse to dig it up. As usual, you've set the bar pretty high! It turned out great! I love the gown and can hear your inner sighs with the no lace/tatting/hat thing. I have been checking in daily, but knew what your schedule was for the past few weeks... more worried that I had missed an email update! All that work stitching was well worth the final product! It is a lovely gown and doesn't even need a bit of lace or tatting. Swiss Flannel is one of my favorites,so snuggly. Gotta cover that baby's head! I say make it anyway. On a cold chilly day they will appreciate that you did. This is gorgeous, Martha, absolutely gorgeous and as always your embroidery is perfection. I agree with Bunny - make the hat! The gown is really lovely, especially with all the animals. Combining Wendy and Jeannie's talents, you know you have a perfect outfit. 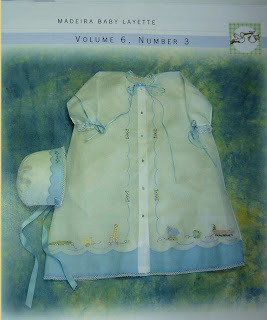 Love the madera applique and the embroidery. Oh Martha . . . this is beautiful! Love it! Can't wait to see a picture of baby Hank in his daygowns.